Cyclists are at high risk of skin cancer due to the very nature of the sport? Being outside under the sun, even during cloudy days puts you in the path of the UV rays from the sun. Yes, there are still UV rays when on cloudy days. Almost every time you’ve zipped up and clipped in you’re silently exposed to the harmful UV rays. Most of us can agree that warmer weather calls us out of the house and into the saddle. So, here are 5 tips to protect yourself against the UV rays and prevent sunburns while cycling. Use appropriate amount of sunscreens. More is better than less. Apply correctly to all exposed skins. Start with SPF30 and ideally SPF50. Wear proper cycling clothing. Fabrics like lycra and polyester commonly used in cycling kits score well in UPF tests. They act as a physical sunblock to your skins. Darker colored clothes offer better UV protection due to higher UV absorption rates. Wear sunglasses. They act as a filter to block out the UV rays from reaching your eyes. Cycling sunglasses usually have larger lens to give you maximum protection from the top to sides from the elements. Choose your riding time wisely. Mornings and evenings are the best time to ride as the UV rays are less intense. Avoid riding during the mid-day if possible. Stay hydrated. 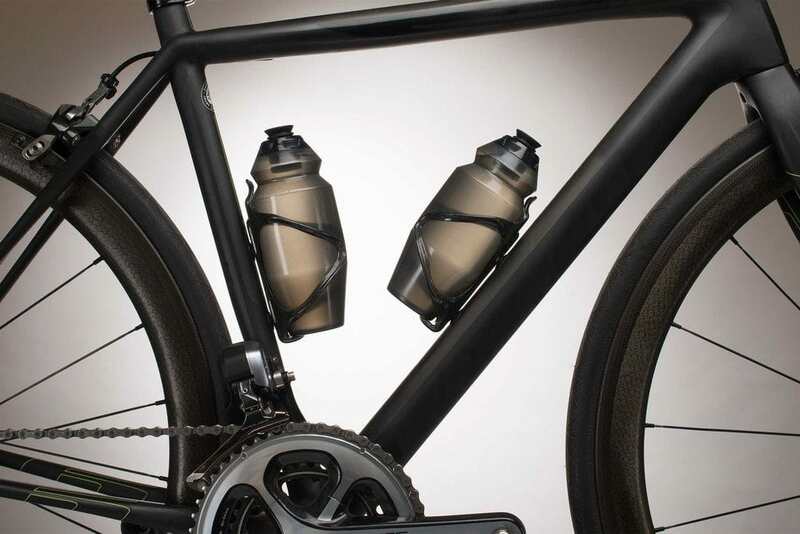 Hydration is important to keep your body going especially if you’re riding hard and during the summer. Aim for at least 500ml of water/sports drink every 45 to 60 minutes. 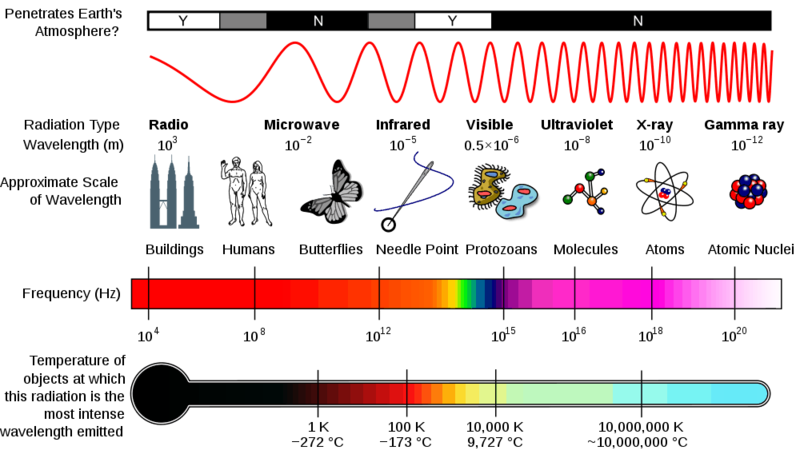 UV radiation is only one form of radiation on the the electromagnetic (EM) spectrum. There are others such as radio waves, microwaves, infrared, X-rays, Gamma rays and of course, the visible light as seen below. There are 3 different types of UV radiation – UVA, UVB and UVC. 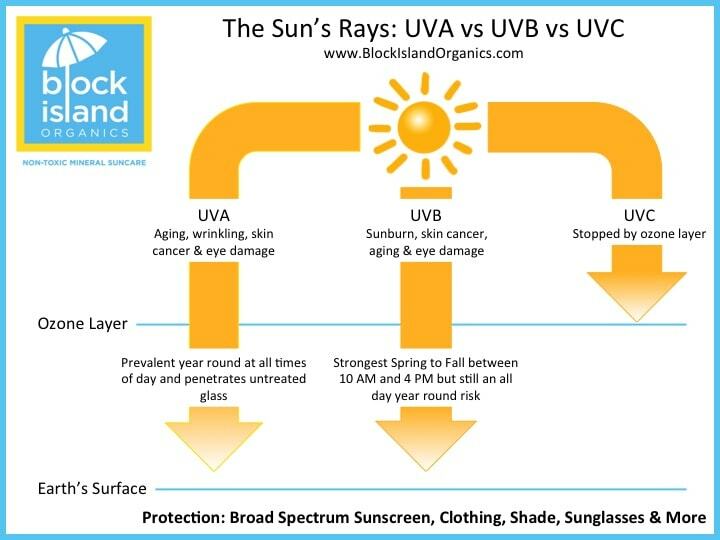 Here are some interesting facts about UVA, UVB and UVC. UVA has the longest wavelengths, followed by UVB, and lastly UVC. UVA can penetrates the middle layer (the dermis) of your skin because of its longer wavelengths. All UVA and some UVB rays are transmitted through the atmosphere, while all UVC rays are absorbed by the Earth’s ozone layer. UVA rays and the UVB rays that make it through the ozone layer eventually make their way down onto your exposed skin. We have all felt the pain and discomfort of a sunburn, which is a sign of short-term over-exposure to UVA and UVB rays. Long-term exposure can lead to premature aging which can make the skin thick, leathery, and wrinkled. Most alarmingly, different types of skin cancers can develop from chronic exposure to UV rays. Your eyes are also at risk from UV exposure in the form of cataracts. These cataracts cloud vision due to a loss of transparency in the lens. It can also cause other types of eye damage include pterygium and macular degeneration. The macula is a part of the retina where visual perception is the most acute. If this becomes degraded, then your eyesight will likewise diminish. Pterygium is a kind of eye damage where tissue growth blocks vision within the eye. The main risk of long-term UV radiation exposure is skin cancer. These cancers are in the form of melanoma and non-melanoma skin cancers. According to the Skin Cancer Foundation, skin cancer is so prevalent that 1 in 5 Americans will develop it within their lifetime. Melanoma skin cancer is the most severe form of skin cancer and is the most common among young adults ages between 15 to 29. According to the Melanoma Institute Australia, it only accounts for approximately 3% of all skin cancers but is responsible for 75% of all skin cancer deaths. Prolonged UV exposure and repeated sunburns. Non-melanoma skin cancers are less dangerous than melanoma but can spread if left untreated. The two types of non-melanoma skin cancers are basal cell and squamous cell carcinoma. Luckily, these are rarely fatal if caught early enough. In the past 15 years, there are many scientific studies to give evidence to the danger of high UV exposure. In a paper titled Extreme UV Exposure of Professional Cyclists, it was found that personal UV exposure limits were exceeded by more than 30 times during the Tour de Suisse. Principle author M. Moehrle concludes by saying UV exposure could be limited by sunscreen application, protective clothing, and not training/competing at peak sun hours. Reported in a 2009 article titled Ultraviolet Light and Skin Cancer in Athletes published in the Sports Health publication, Shannon Harrison states that the incidence of Melanoma is expanding worldwide. She also goes on to state that ultraviolet light exposure is the most critical risk factor for skin cancers with an average person having a 20% chance to develop the disease. Due to climate change and ever-increasing extreme weather events, now more than ever is the time to protect yourself. A.F. Bais, the lead author in a paper on Ozone Depletion and Climate Change, determined that UV radiation will increase. This is due to ozone-damaging substances and climate change over time which will result in UV radiation increase. Hence, protecting your eyes from the sun is so important that researchers have proposed a new label for ultraviolet protection. In a 2014 article for Clinical Ophthalmology, researchers found that even when wearing sunglasses, UV still finds its way into the eye from certain lens angles. It was also found that anti-reflective coating considerably increased reflection of UV radiation. In the end, they established the new E-SPF rating to help promote sunglasses that will adequately protect your eyes. Sunscreen is one of your greatest allies in the fight against UV exposure. At the drugstore, you’ll find endless rows of products dedicated to protecting your skin from the sun. Sometimes, choosing the right kind and knowing how to use it is as important as getting a PR on a tough segment on Strava. Generally, there are 3 different types of applied sun protection. Sunscreen. Made up of chemicals that are absorbed into the skin which convert incoming UV rays into heat. Sunblock. Also known as mineral sunscreen because it utilizes minerals which act as a physical barrier by reflecting UV rays. Broad-Spectrum Sunscreen. Protects you by using ingredients from both chemical and mineral sunscreens. Sunscreen may be the most beneficial to cyclists, due to sunblock (mineral sunscreen) being ineffective on sweaty skin. Mineral sunscreen is very useful on dry skin, which will be rare during cycling. Since it’s a barrier, it will quickly be pushed off by all your sweat. In short, the difference between UPF and SPF boils down to one simple thing. UPF is used to measure the UVA and UVB protection in fabrics and SPF is used to measure UVB protection in sunscreens. SPF stands for Sun Protection Factor and is a relative measure of how long the sunscreen will protect you from UVB rays. Higher numbers do mean more filtration, but it’s still unknown if they really provide more protection. 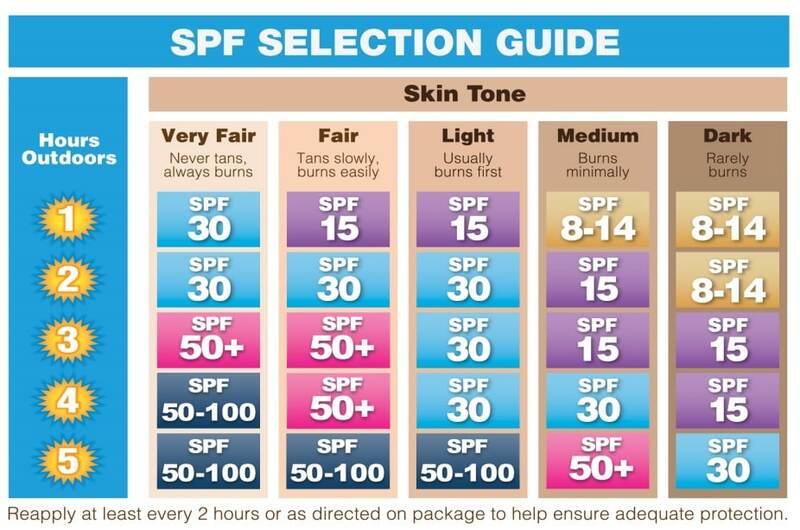 For example, SPF 15 filters out 93% (1/15 x 100%) of UVB rays while SPF 30 filters 97% (1/30 x 100%) and SPF 50 filters 98% (1/50 x 100%). Anything beyond this only marginally increases filtration without ever reaching 100%. Generally, the fairer your skin tone is, the higher SPF you’ll need. PRO TIP : Using your sunscreen correctly is the key to its effectiveness. Remember to apply early and apply often, it takes at least 15 minutes for it to soak in. When browsing for new cycling clothing, you might come across the acronym UPF on different garments. UPF stands for Ultraviolet Protection Factor which indicates a fabric or garments ability to block UV rays. If your gear has a UPF rating, then it essentially provides a physical sunblock. The table below gives you an idea of UPF ratings vs the percentage of UV rays blocked. This is why a good fit is vital because fabric that’s too stretched out will negate its sun protection. Darker colored clothes offer better UV protection due to UV absorption. This seems counterintuitive, but lighter clothes usually don’t provide a higher UPF rating. In fact, white usually has the lowest protection due to its transparency. Since clothes offer permanent protection, it’s a good idea to cover your most vulnerable areas. Caps with a visor under your bike helmet keep the sun off your head. Wearing cycling gloves, arm covers, leg covers, and even neck warmers can protect most of your exposed skin, depending on the time of the year. Not only do sunglasses look great and make you feel fast, but they also offer UV protection for your eyes. Nearly all quality sunglasses made today offer protection against UVA and UVB rays. This is usually achieved through lens coatings, but some lenses can absorb UV rays. For the absolute best eye protection, wear lenses that will block out anywhere between 75 to 90% of light during full sun. On cloudy days 35 to 50% will do the trick. Sometimes, they’re referred to as Visible Light Transmission, or VLT. Fortunately, many sunglasses have the ability to swap out different lenses. During the summer months, with sun is higher up in the sky, its UV rays are spread across a smaller area compared to during the winter. This explains why the UV is more intense during summer, and also during noon vs mornings or evenings. The UV’s intensity is indicated by a UV index. The higher the index is, the higher the intensity. Generally, the UV rays are the most intense at noon when the sun is highest in the sky. So it’s best to stay out of the saddle if you can help it. Shifting your rides to before or after these peak hours will significantly reduce your UV exposure. Besides choosing the ideal time of the day to ride, you’d also need to be aware of the effects UV exposure at altitude. For the climbers, they pride themselves on bagging as many elevation gains as possible on huge mountains. As you go up in altitude, so does your risk for higher UV exposure. This is due to the fact that at higher altitudes, there is less atmosphere to absorb the UV rays. Don’t be fooled by the cooler temperatures the higher you go up! Take some time to also consider the times you were on a hard climb on a hot day with your jersey fully unzipped. This also opens up the possibility for more exposure to UV due to much of it being reflected off of various surfaces you’ll ride across. These surfaces can include pavement, sand, grass, snow, and water. Yes they do, as with most things. In fact, the FDA (Food and Drug Administration) requires all sunscreens in the United States to have an expiry date. The FDA further adds that if there isn’t an expiry date printed, you can assume that it’ll expire 3 years after purchasing. Having said that, common sense still applies when it comes to sunscreens. If you ever felt that they no longer feel or smell the way they did when you first purchased, chances are they could be expired. Generally, you want to have a new sunscreen every summer. 2. How much sunscreen to use when cycling? The World Health Organization (WHO) recommends 35ml of sunscreen for your entire body. This includes your arms, legs, face, as well as your chest and stomach if you might unzip. Other places easy to forget are the neck, ears, top of knees, and bald patches.It’s also important to remember to reapply after every other hour of riding. It’s estimated that during cycling, sunscreen loses its effectiveness after only 80 minutes. So pop some sunscreen in your jersey pocket or bike saddle bag for those long rides. 3. Are sunscreen sprays effective? 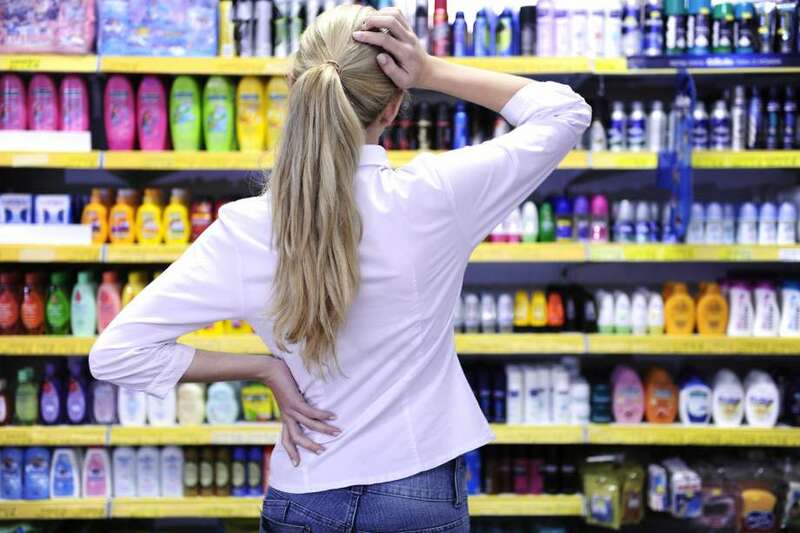 These days, sunscreen sprays, or sometimes called aerosol sunscreens are becoming popular due to its easy application. But as a cyclists, I’d stay away from these. While their ingredients work effectively, the flaw lies in how they’re applied. Not only that, sunscreen sprays costs way more than a cream-based sunscreen. As cyclists, we need to apply even more, not less sunscreen when we’re out riding. 4. Can I get sunburns through my cycling clothes? Yes you can, depending on the type of fabric. These days, summer cycling jerseys and some bibs are made of lightweight, mesh and/or semi-transparent materials to encourage airflow and provide you with plenty of ventilation. But the downside to this is, they’ve low UPF rating and hence making you prone to sunburns. If you insists on wearing these kits, remember to apply sunscreen on the areas covered by the kits as well to double up your sun protection. Even pro cyclists like 4x Tour de France winner, Chris Froome and Louis Meintjes made this rookie mistake.